Well, Olivia’s secret has been revealed. On the one hand, I am glad that the secret-keeping is over. On the other, the way it came out was heartbreaking. Olivia couldn’t bring herself to tell Fitz, so he found out when she was arrested for helping a prisoner get released. How this was traced back to her is unknown. And so, she is in handcuffs, covered in someone else’s blood because she was in the hospital saving the life of a client who wanted to die rather than be sent back to his country, and she finally has to tell him what she did. We don’t know what Olivia said to him because the scene was edited with music covering the dialogue and all we see are the facial expressions, which were heartbreaking in and of themselves. From what it looks like, Olivia told Fitz that she had her father released because someone is trying to kill him and he’s scared. Not that he blackmailed the impeachment committee to get them to drop the charges on Fitz. Not that she’d changed her mind about doing it and Mellie was the one who actually went through with the plan. And who knows if she even said she was sorry. 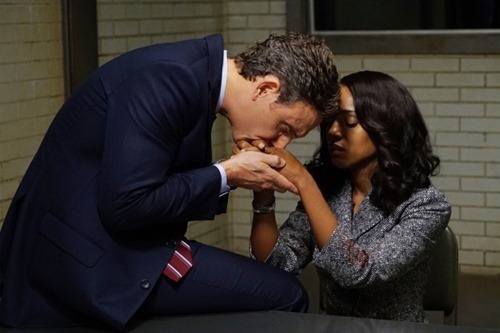 But as it looked, Olivia made her father’s life the most important – he killed Fitz’s son, but when Olivia was afraid her father would be killed, she set him free. Now, everyone was terrified of what might happen when Fitz found out about the betrayal. 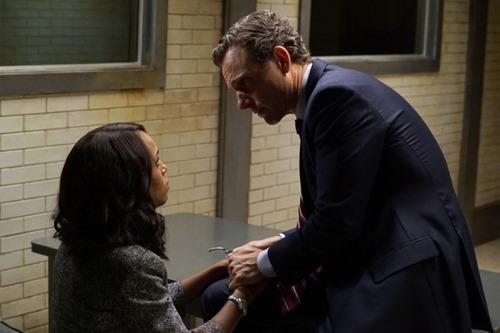 When Fitz found out that the votes in his election were rigged, he killed Verna! He shut Olivia completely out of his life for ten months and after that continued to say hurtful things to her until she ended up in the hospital. He drank non-stop. And when Olivia left him after his son died, he tried to kill himself. His reaction as we have seen it this far is different. Yes, he is drinking (peep that empty scotch container! ), but instead of leaving Olivia on her own, he has her released directly back to the White House. And he has her things moved in with her. When she questions him, he says he is keeping her safe now. He is correct that her apartment is not safe, and with her father on the loose, plus afraid for his own life, she probably isn’t safe there. But is Fitz going a little bit crazy? The earlier part of the episode, with Olivia working behind the scenes with a client that had information that greatly effected whether or not Fitz’s peace treaty could go through was the kind of show I would like to see. 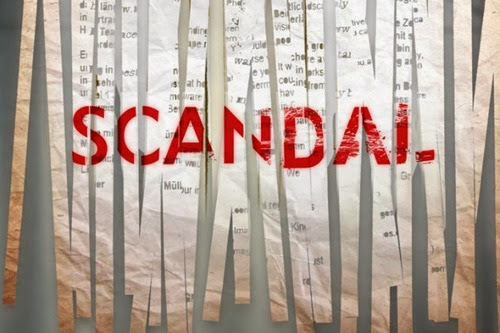 Fitz can be President, Olivia can do her work as a fixer, and there can be conflict between them based on whether her work is helpful or harmful to his. At this point though, we may just see Olivia fighting to get out of being treated like she is the First Lady, when she didn’t want that job. 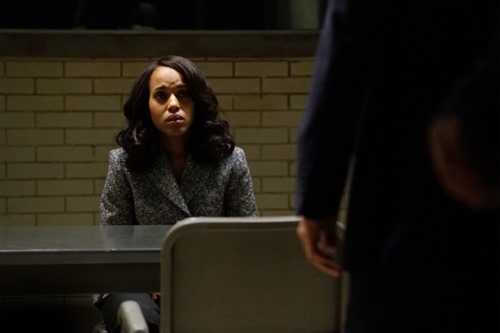 On this show, the White House is a prison, and Fitz just locked Olivia in. If you watched this episode, what did you think?